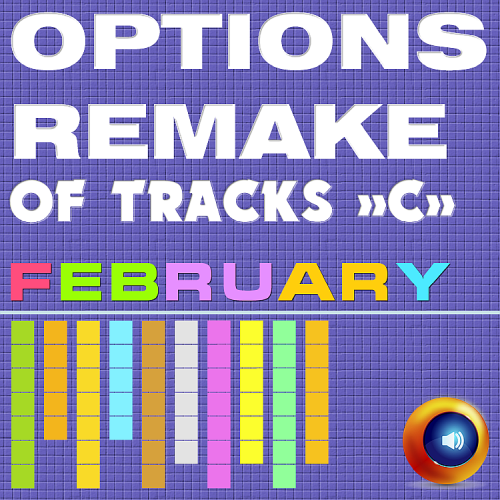 Date: 27.02.2018 | House, Electro, Club | Tags: Options Remake, Zhyk Group, Vork, Subandrio, Newball, Zoo Brazil, Trey Rossick, Marboc, Jonatan Meneses, Resolutions, Tom Pulse | Download Options Remake Of Tracks February -C- (2018) for free. Reminiscent of the good ol days, Dancin is that kind of record you just have to move your body to. Laced with whirling synths, funky chords and a lovely vocal hook, this RetroVision song makes you want to hit the club right away. With Melosense stepping up to the plate, the ridiculously contagious original gets a Chill-flavored treatment that knows no equal, ensuring that this beauty of a record can make you feel like home wherever you are. Get Low, premiered by both artists together on Ultras mainstage at Ultra Europe last year. Telling a tear-stained story of trust betrayed and love unanswered, Jeremy Vancaularts brand-new offering to Black Sunset Music has got to be one of the purest Vocal gems of this era. From Danyka Nadeaus angelic and emotive vocals to the eruptive synths, entrancing melodies.